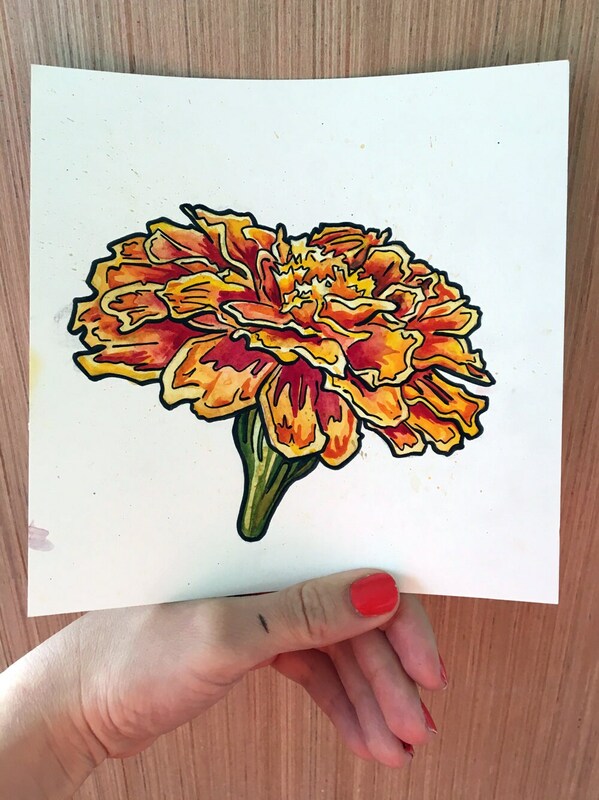 Marigolds mean many things across many cultures. 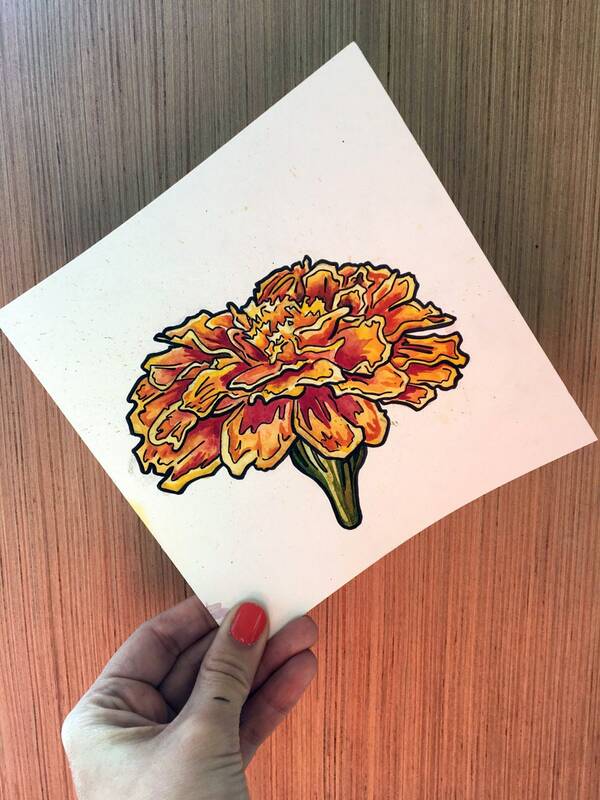 This bright, orange and yellow bloom is a symbol of creativity and the drive to succeed. It is also the flower that symbolizes despair and grief over the loss of love. 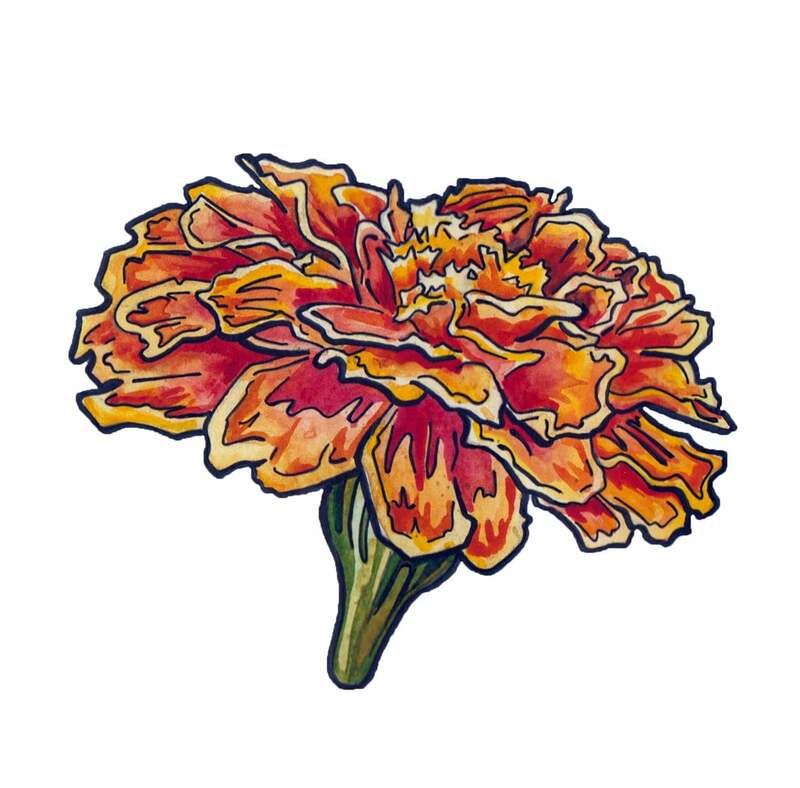 Personally, I plant marigolds because they are a hearty, colorful addition to my garden. Even my not so green thumb can keep them alive all season. 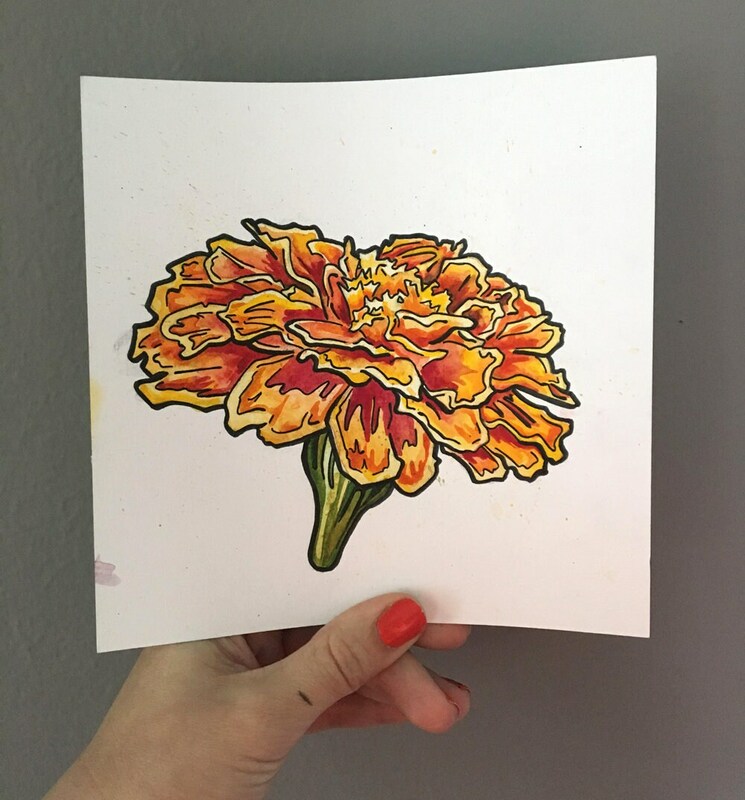 The best thing about a painting of marigold? Its beauty never fades. This small work of art will keep any space bright for as long as you like. 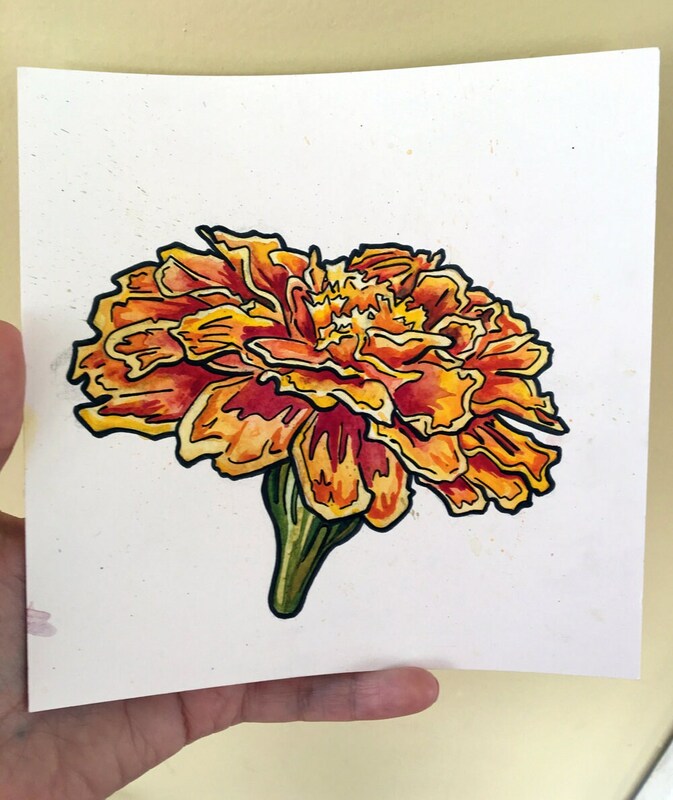 This watercolor and ink illustration is titled "Marigold." It was hand painted in vibrant, archival watercolors. It measures 6 inches by 6 inches (15.3 cm x 15.2 cm).